I know that I don’t usually do haul posts like this, but I had to share with all of you the cute stationary items that I purchased from one of my all time favorite boutiques…Lucca. This little boutique has been my go to place whenever I need to pick up a quick present for a friend or I want to find something cool for my place. They honestly have the best mix of whimsical and gothic items…which we all know is right up my alley! 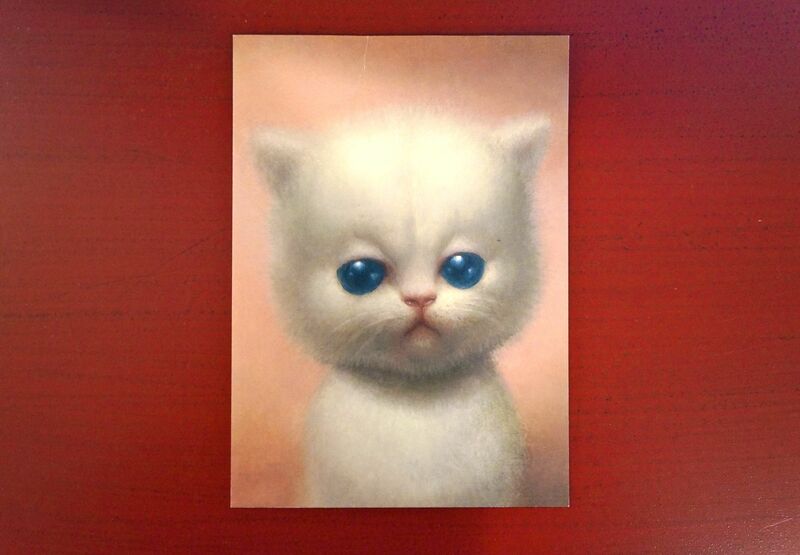 Okay, how adorable is this illustrated kitten?! I love that the eyes were drawn so large, yet there is still something creepy about them. This is actually a postcard that I plan on using as an insert in my monthly planner. I am also a big fan of black and white sea life illustrations…primarily octopus and whales. 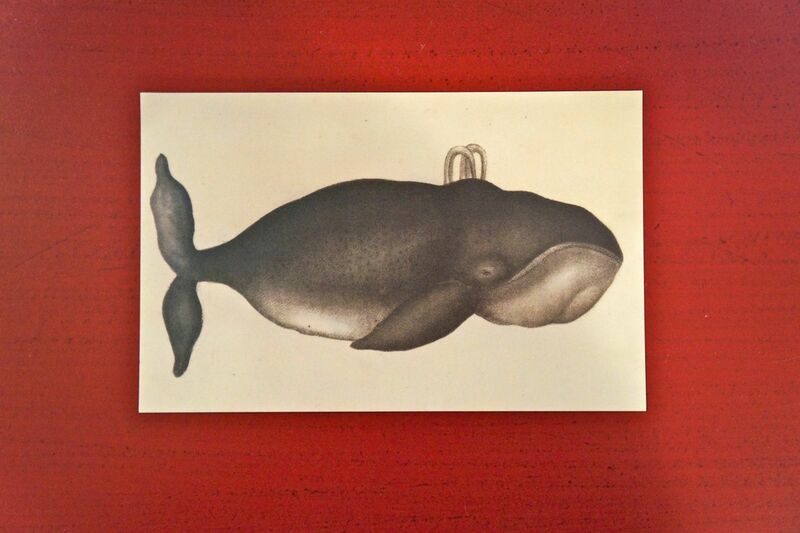 So I grabbed this little postcard to throw on my decor wall at work. 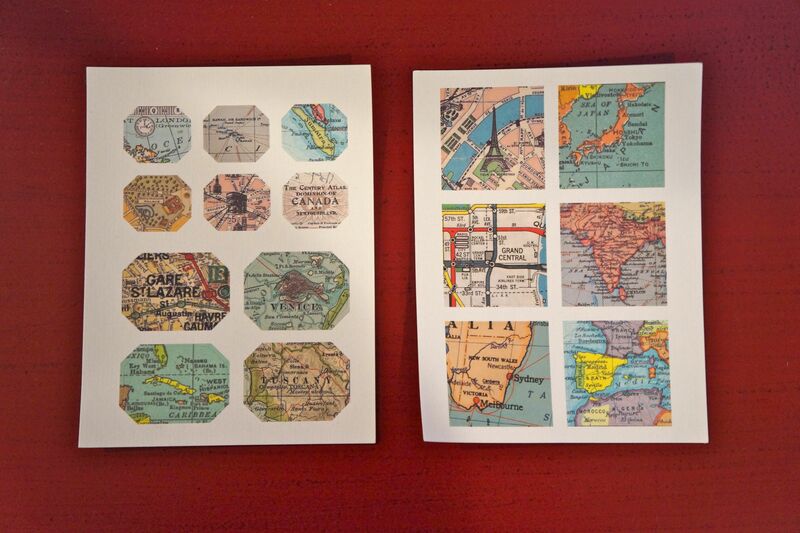 And lastly, I grabbed these two sheets of map stickers. 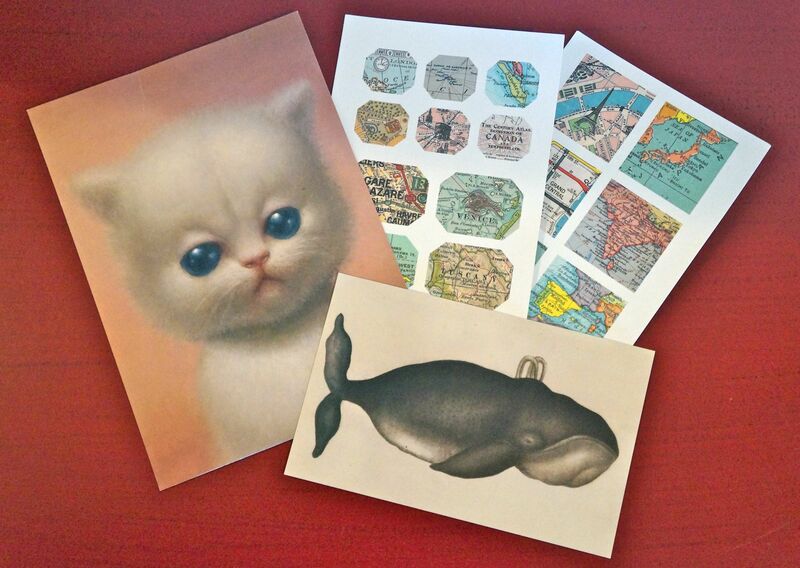 Now, I am not a big scrapbooker, nor am I a huge crafts person…but I like to keep a small stock pile of stickers on hand. They are always good to jazz up letters or cards & they always look super cute when used to seal up envelopes.